Our PADI centre is fully equipped with two air compressors and a Nitrox compressor and our professional, friendly team of staff teach all PADI courses from Discover Scuba Diving up to Dive master. We prefer to keep to smaller groups on our boats and in our courses which means our guests can enjoy a more relaxing days diving and benefit from a more personal approach to their tuition. 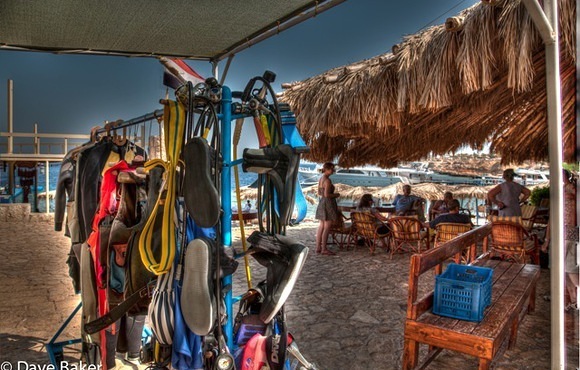 The dive centre and accommodation are situated on the beach only a minutes’ walk from our house reef and jetty we are ideally located for experienced divers, beginners and snorkelers to enjoy the beauty of the Red Sea. Sharks Bay Umbi Diving Village was established in 1982 by Umbarak, the owner, a very well-known local Bedouin born and raised on the shores of the Red Sea. We have grown a lot from our early origins but still maintain a friendly, personal approach to our guests. 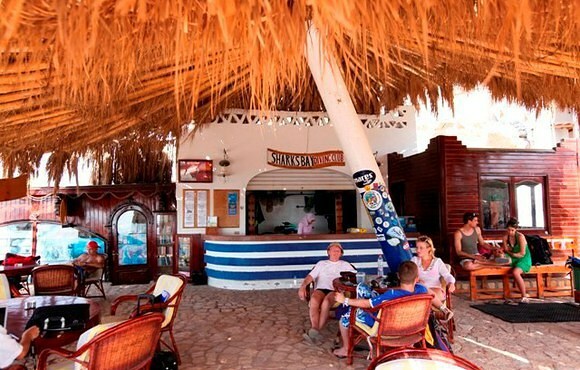 The peaceful surroundings of Sharks Bay are only ten minutes from the International Airport and the main tourist attractions Naama Bay and Old Town Sharm el Sheikh. Our boats leave on a daily basis from the jetty here in Sharks Bay so you have no lengthy transfer times to begin your days diving. As we own the jetty we try to make sure that our boats are the first to leave. 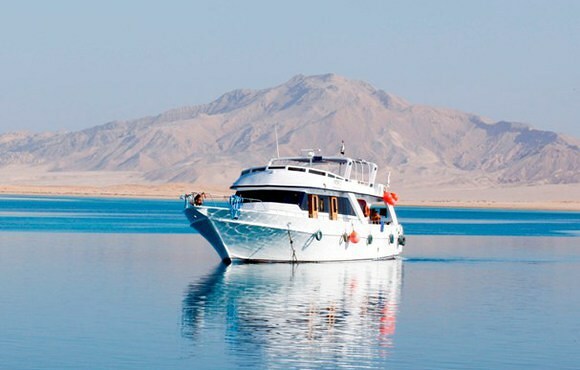 Our daily boats visit the most northerly reefs in the Straits of Tiran down to the most southerly reefs of the Ras Mohammed National Park, with amazingly crystal clear waters and a variety of diving landscapes offering deep walls, shallow coral plateaus and historical wrecks. 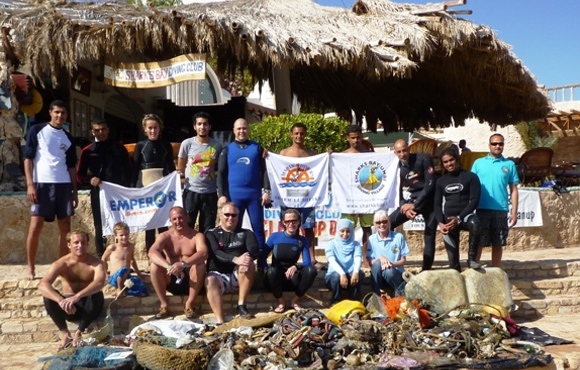 The currents created by the narrowing of the Gulf of Aqaba provide a constant fresh food supply to the reefs that attracts the bigger fish and enables the corals and marine life to grow and flourish. These conditions have rightly justified the northern Red Sea as being famous for some of the world’s best diving. Whether you are a complete beginner or a more experienced diver, the sites here will suit every level and make for a fantastic diving holiday. It was my first time in Egypt and it was great, the diving centre is located at a very relaxed and charming bay. The staff was very professional but most of all personal. They arranged a van to pick me up from my hotel wich was located approximately 3-4 km from the centre. I did my advanced open water course here and dived at very nice spots. I recommend this centre to anybody. I can't wait to go back soon to see our friends in sharks bay as well as the ones in the Red Sea :).